Staying in touch with your customer base, as well as keeping the name of your company in front of potential customers, is an important part of any effective sales strategy However, many of us don’t have time to send out e-mail series or spend time working on extensive e-mail marketing campaigns. Yet, it is vital that one take the time to send out e-mail campaigns, as they are a prime way to keep your brand out there, build trust, send targeted information, support sales efforts and increase the client base. A 2012 survey of consumer channel habits and preferences found 77% preferred to receive permission-based promotions via email: 6% preferred such messages via social media A similar survey of UK consumers found 69% with a preference for email as the channel for brand communications. The 2012 Marketing Channel and Engagement Benchmark Survey found 63% of respondents cited email as the channel offering the best ROI. Email was the channel most likely to get more investment in 2012, according to a survey of business leaders: 60% planned to increase their email marketing budget. Social media was the next most popular at 55%. 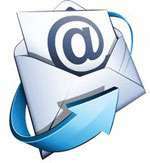 Forrester’s late 2010 survey of US marketers found 88% of B2C firms and 71% of B2B organizations using email marketing. And, perhaps one of the most interesting facts regarding social media and e-mail marketing: A 2012 social media survey found 87% of social media marketers also use email marketing: 93% plan to maintain or increase their use of email. Thankfully, there are an assortment of autoresponders you can choose from. Here at Page Progressive, we often suggest our clients consider MailChimp, but other autoresponder services include Constant Contact, Get Response or AWeber. There are even vocation specific autoresponders such as T-Link by Televox that has the tools needed for someone in the health care field. You can deliver a series of staggered sales letters where each one showcases a different product or service. You can do all your campaign mail outs in one sitting and then schedule the send dates to suit your needs. Recipients are addressed personally, based on the info you provide. You can set up reminders to keep your people aware of any birthdays, anniversaries, etc. You can select the day and time your campaign is sent, so you can be sure it is a time when people are most likely to see it. Have “welcome” e-mails sent to new subscribers. Once you have an autoresponder is set up, you don’t have to go back to it, unless you decide to change something. Most autoresponders have predesigned templates, so you don’t have to spend time programming or designing one for your business. Of course, if you want a customized look, you can upload that instead. A good autoresponder will work in conjunction with Google Analytics or another tracking program so you can determine which campaigns are working the best for you. The autoresponder program will also have merge tags, sometimes called personalization fields, that allow you to insert information from your database directly into your email messages or customize your campaigns with subscriber names, sharing links, videos, polls and more. If your company often has releases such as PDF downloads, apps, training courses, etc. using an autoresponder to remind those who have the products of any upgrades or tutorials available will remind people of these items and encourage them to be on the lookout for more. If you will be hosting and event, an autoresponder campaign can be designed to allow people to share their thoughts and comments, thus helping keep everyone in the loop. You can even design a campaign that works as a countdown to the big event. If you were to send out 500 emails from your personal e-mail account, without the use of an autoresponder, a large portion of them would be marked as spam and could even cause your account to be blacklisted. A reputable autoresponder will ensure your email will be delivered. Many of them are FREE for up to a set number of recipients and reasonably priced after that.